After the Puritans of England landed on the shores of Massachusetts in 1630, they had quite a hard time settling into their new home. They originally set up base in the area that is now Charlestown, but the poor water quality there led to many of them falling ill.
At this time, an early settler named William Blackstone told them of the bountiful fresh water from a spring in the Shawmut peninsula, where he had made his home. The piece of land was more like an island connected by a thin causeway. Surrounded by seawater and mixes of smelly brackish water, the spring, fed by the rich aquifers around it, was a critical resource for early residents, and this availability of water played a big role in the choice of the region for settlement. A move to the peninsula followed, marking the genesis of modern-day Boston. The abundant water supply gradually dwindled as the settlement expanded, and the residents had to look outside the city for a more consistent supply, and more sophisticated water systems were put in place. The spring was covered up and later even paved over. 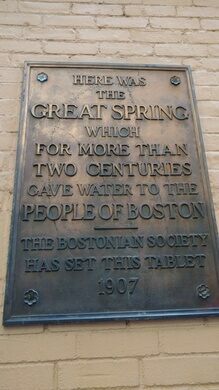 Many years later, at the start of the 20th century, the Bostonian Society installed a small plaque at the site of the spring, located in a dim alleyway named Spring Lane after the water source. The plaque reads, simply, “Here was the Great Spring which for more than two centuries gave water to the people of Boston.” The city also put up a plaque on the Winthrop-Carter building, recognizing the crucial role the fresh spring water played in luring the Puritans to create the settlement that was a precursor to the modern city seen today. 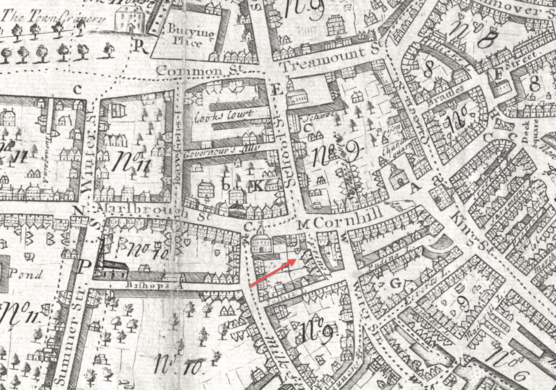 Spring Lane can be accessed from either Washington or Devonshire streets in Boston, running parallel to Water Street. Spring Lane appears almost invisible to busy pedestrians and is off-limits to cars. Look up and you should find the street sign for Spring Lane. Walk about halfway down and look on the wall. 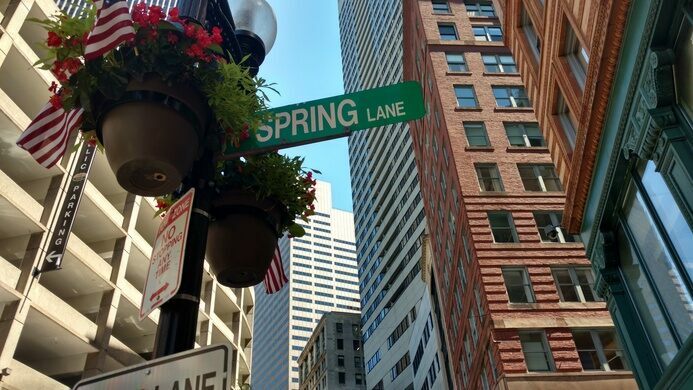 During busy tourist seasons and business hours a person could be easily overrun on the sidewalk in downtown Boston, but Spring Lane is often very quiet in the middle of the commotion. A plaque marks the underground site of one of London's "lost rivers." A relic of FDR's brief foray into utopian urban planning. This impressive system of tanks was used to store drinking water as long as 2,000 years ago.